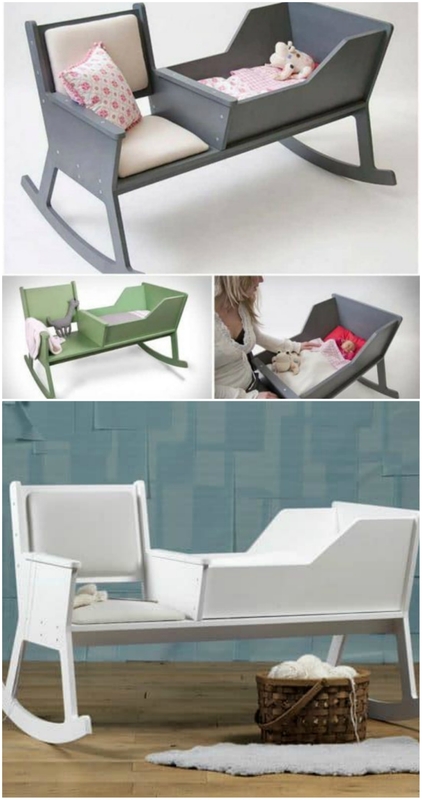 What a great idea this Rocking Chair Cradle Combo is and it’s just one of the ideas you will find in our post. Check them all out now and be sure that you Pin your favorites. Who says you can’t have your cake and eat it too? 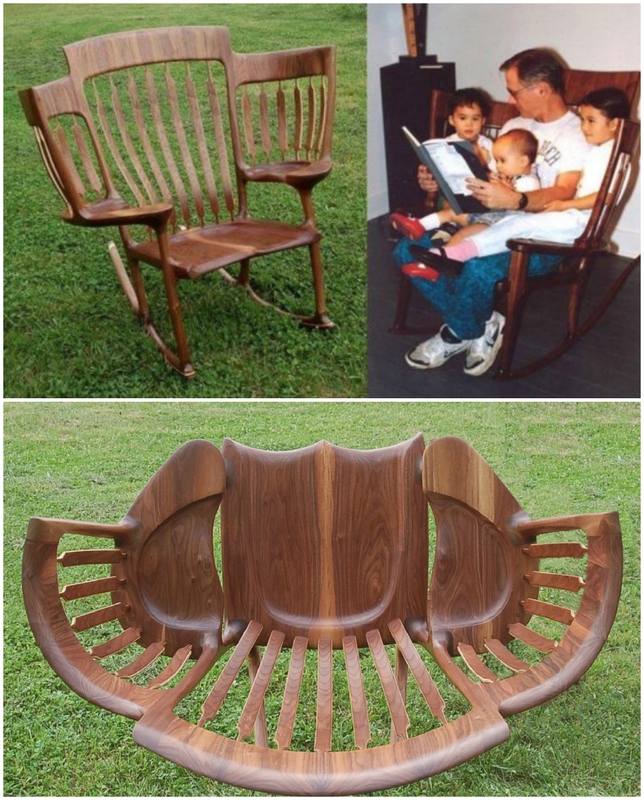 We were blown away with this ingenious Rocking Chair Cradle Combo. It is made by Ontwerpduo and it’s easy to see why everyone loves it. 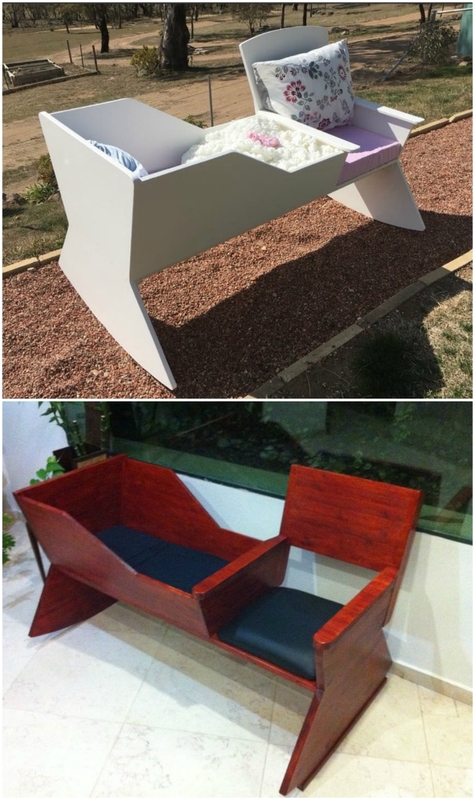 It is a Cradle and a Rocker in one. It’s the perfect place to feed and read. 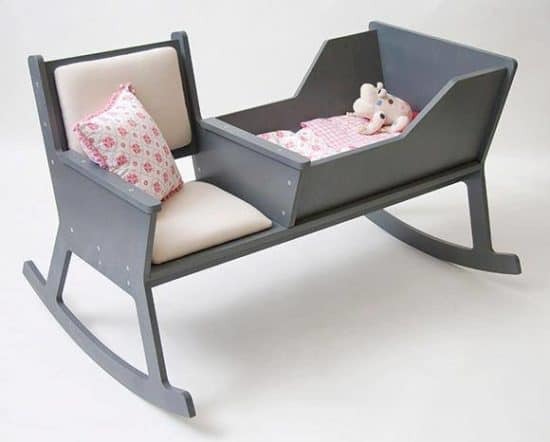 You can be comfy while watching over your newborn. We have also been fortunate enough to find a DIY version on the Instructables Site. As you can see by the lower photo, the creator did a great job. You can either showcase yours in timber or paint it up in a favorite color. The picture featured above is from a person that made the project. The full instructions are here. The featured version is a lovely contemporary piece of furniture that you will have forever. It will be passed down through the family. It is made in the Netherlands and available as a flat pack. The Storytelling Chair above is another amazing idea that we came across in our travels. Hal Taylor is the genius behind this piece and don’t you love it? It’s a custom-made piece he sells.